Treatment principle: through deep heat treatment, increase the oxygen flow in the body, promote training with gas, promote blood circulation, row away toxins and wastes, active metabolism, eliminate and soften cellular organization, to achieve the purpose of weight and control weight loss. Treatment principle: deep diathermy treatment, give skin oxygen and organic nutrients, strengthen cell function, improve blood and lymph circulation, active metabolism, induced by collagen, tender skin, promote and tighten the magic effect. D, control acne, shrink pores. Deep treatment principle: through heat treatment, relax muscles, relieve stiff joints, relieve pain, fatigue. 1, immediate action: collagen contraction immediately, skin firming, such as: facial ascension. 2, long-term effects: collagen reconstruction and renewal, such as: reduce becomes shallow wrinkles, skin smooth, elastic and younger lately. 3, high security, good operation. 4, job probe within the service life of the infinite time, low treatment cost. 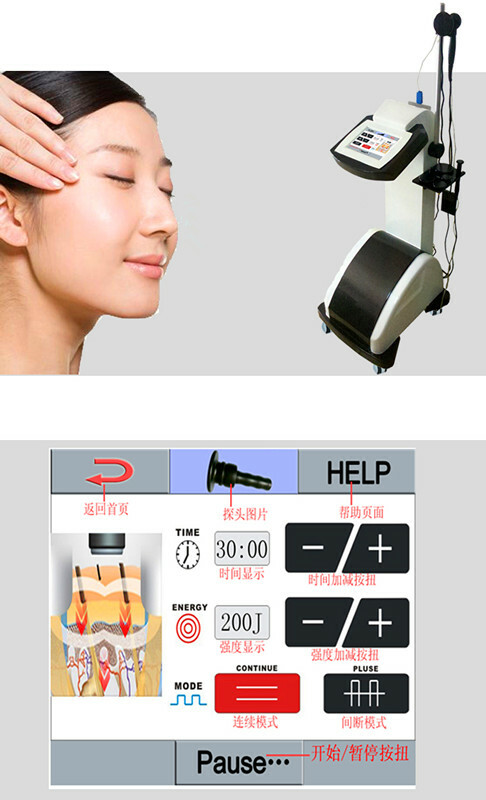 5, can automatically control energy release and energy release rate is adjustable, treatment, the treatment head can leave skin, does not damage the skin. 6, the work frequency of the instrument of nerve, muscle without excitement and stimulation. 7, high power output, carries on the treatment of large area, large, medium and small six treatment head can be carried out at different positions of the different options. 8, high energy, fast effect. 9, does not need to join anesthetics during operation, because the probe in the dermis and the following treatment, can protect the skin. 10, when treatment, rely on the waves in the skin resistance function to generate the heat energy, no used for cooling medium.